Lisa Tabb is the co-producer and co-executive producer of Screenagers. She has spent 29 years as a news producer, magazine publisher and editor, and entrepreneur. Tabb mother of two teenagers. For 15 years she produced news at ABC 7 News in San Francisco, with a focus on trends around parenting and raising kids and emerging technologies. Prior to television, Lisa started the first ecotravel magazine in the U.S, EcoTraveler. She went on to have a long career in running adventure travel publishing. She is the co-author of Beyond Vegas in which she writes about marrying her husband in 10 countries. 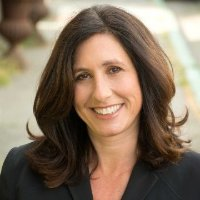 Lisa has worked with schools on fundraising and education initiatives in Northern California where she lives. Erik Dugger has edited documentaries including Little White Lie, The Magic Life, Present Perfect, and Supergirl. He was also the supervising editor of the Peabody Award-winning No Le Digas A Nadie. Erik’s work has screened at film festivals including Slamdance, DOC NYC, and the Hamptons International Film Festival. It has also been featured on the Sundance Channel, the Discovery Channel, National Geographic, A&E Biography, as well as PBS’s Independent Lens and POV series. Geoff Schaaf is a Los Angeles-based award-winning cinematographer with over 35 years of experience. His credits include feature films such as Her Lucky Star, and Midnight Heat, and feature documentaries Eat, Drink, Laugh, The Wall Street Conspiracy and One Germany: The Other Side of the Wall. TV documentaries include Middle Ages, Sharks of Rangiroa and Tour de France. He is currently working on the feature documentary Wounded Warriors. Geoff has 13 Emmy Nominations and 4 Emmy Awards. Paul Brill has composed over sixty films as well as many TV shows. He has won several Emmys and awards for his music. He has composed films that have screened at Sundance, Tribeca, other top festivals, PBS and HBO. His films include Joan Rivers: A Piece of Work, Freakonomics, The Devil Came on Horseback and Page One: Inside New York Times.